Most of us associate MSG – monosodium glutamate — with down-market Chinese food or can’t-stop-eating potato chips. Neither is known for being healthy. But MSG has a much broader reach. In fact, it’s almost everywhere. It’s sprinkled into just about every packaged item the food industry finagles onto our grocery store shelves. The damage MSG does to our health has been known for years. Yet some “experts” have recently come out and started recommending it again as safe, tasty, and (this is truly appalling) a great way to get kids to eat vegetables. Back around the turn of the 20th century, a scientist from Japan named Kikunae Ikeda was trying to understand why dashi, a seaweed broth common in Japan, was so darn tasty. That led to his discovery of a way to isolate glutamic acid, which he then stabilized with salt. The processing magic turned the glutamic acid into a small crystal formation, which is easy to sprinkle on food. Ikeda patented this glutamic acid extraction method and started selling it commercially under the brand name Aji-no-moto, which remains popular today. In the U.S., we know it as monosodium glutamate, or MSG, and it has an intensely appealing, savory flavor – not too salty, not too sweet. That unique savory flavor is called “umami,” also known as the “fifth taste” (the other four are sweet, sour, bitter, and salty). Some describe umami as a brothy or meaty flavor. You taste it when your taste receptors respond to glutamate. So it’s no surprise that MSG has become a ubiquitous flavor staple, found everywhere from upscale restaurants to fast food dives to your next door neighbor’s kitchen cupboard. Not only does the stuff taste good, it’s also highly addictive, cheap, and easy to get – the most deadly combination you can find when you’re talking about a recreational drug. And that’s exactly what it is – a drug masquerading as an additive and with devastating consequences. Yet mainstream culture continues to ignore the disturbing health effects of MSG and even recommends it. I’ve read about food “authorities” describing MSG as a “supersalt” you can sprinkle on anything to make it taste better, including those vegetables you can’t get your kids to eat. Others say that MSG “occurs naturally” in certain foods, so you’re really just reaching for a natural flavor enhancer when you sprinkle it on your food. But that’s completely WRONG. It’s glutamic acid – not MSG – that is the naturally occurring flavor. Glutamic acid absolutely does occur naturally in several kinds of foods, from tomatoes to parmesan cheese to dried mushrooms to human breast milk. MSG is produced through hydrolysis – a manmade process, and the same one that was set into motion by good Mr. Ikeda a hundred years back. Since I last wrote you about the hazards of MSG, new research has surfaced from the journal Cell Biochemistry and Biofunction that shows high levels of MSG cause severe damage in fruit flies and lead to premature death. And if you’re thinking a fruit fly study doesn’t matter much to humans, think again. The researchers were looking at antioxidant response to MSG – something that’s entirely relevant to human processes. What they found was that flies fed MSG saw increases in their reactive oxygen levels, nitrogen levels, and catalase activity, among other things. More specifically, their lifespans were drastically reduced. Here’s how that translates: MSG causes oxidative stress (free radical damage). Oxidative stress activates inflammatory pathways. This is what leads to the transformation of a normal cell to a tumor cell, and to enhanced tumor cell survival and proliferation. This study alone has public health significance for humans, but it’s not the only one. Another study that came out since my last report on this subject shows that neonatal exposure to MSG interferes with early development of the auditory brainstem, leading to diminished auditory function. I’ve seen other studies that link MSG to dermatitis in children, or that indicate links between allergy reactions, chronic hives, and MSG consumption. Still other studies show MSG can even affect mood, leading to depressive behavior. It can prompt kidney damage… messes with genetic material… and can even lead to chest pain. The evidence is there, and it’s growing. And while it’ll take the FDA years to get its act together and connect the dots, you don’t have to sit idly by and watch your health go down the drain. The bottom line here is that you must sift through all this misinformation if you’re serious about protecting your health. MSG is not a natural substance. You can’t walk outside and pick it from your garden. It’s a flavor enhancer used liberally by the food industry to get you to fall in love with their processed, packaged foods. They want you to keep coming back and buying their brand over and over and over again. Trying to convince the public it’s natural is a kind of fuzzy half-truth. If you want to make something taste good, put Parmesan on it. Or salt. Or start with a whole food that has its own good flavor. Skip the MSG. To avoid it entirely, steer clear of packaged and processed foods and reach for raw foods, like fruits, vegetables, nuts and organic meats. And keep an eye out for items that contain hidden MSG. The additive often goes by other names such as hydrolyzed protein, modified food starch, and maltodextrin. Good advice when choosing food is “Don’t buy it if you don’t know what the ingredients are.” Also good advice is “Don’t buy it if there are more than four or five ingredients.” If the list of ingredients is ten or fifteen items long, and contains chemical names whose meanings you don’t know, stay away from it. Food makers seem to be compulsive deceivers. One of my recent favorites, seen often on ingredient lists the last few years, is “dehydrated cane juice.” Hello, folks, it’s sugar. Food was also the topic of our last issue – specifically, the foods that cause inflammation. You can get rid of a great deal of pain and reduce your risk of cancer, heart disease, Alzheimer’s and more by steering clear of these inflammatory foods. If you missed the article, it’s running again below. . .
“Auditory hindbrain atrophy and anomalous calcium binding protein expression after neonatal exposure to monosodium glutamate.” By Foran L., et al. Neuroscience. 2017 Mar 6;344:406-417. “Dietary consumption of monosodium L-glutamate induces adaptive response and reduction in the life span of Drosophila melanogaster.” By Abolaji AO. Cell Biochem Funct. 2017 Apr;35(3):164-170. “Everyone should cook with MSG, says food scientist.” By Gus Lubin for Business Insider, 2 February 2017. “MSG Additive Used in Chinese Food is Actually Good for You, Scientist Claims.” By Rachel Hosie, 8 February 2017, for the Independent. “ Names of ingredients that contain processed free glutamic acid (MSG).” Last updated March, 2014. 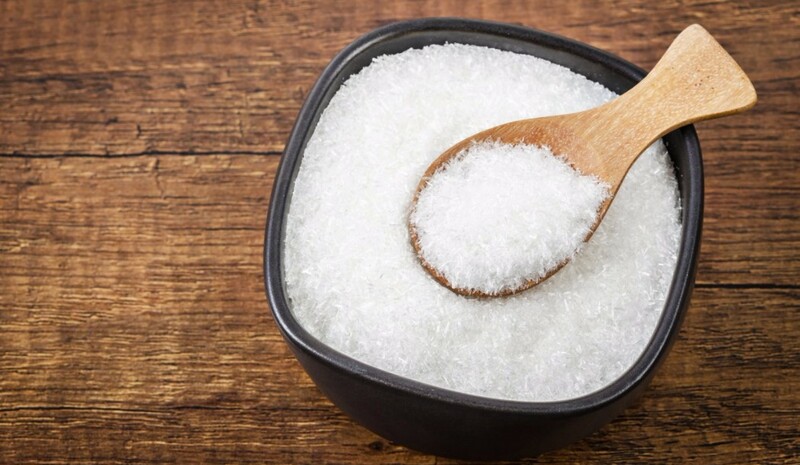 “No, MSG isn’t bad for you.” By Rachel Feltman, 25 August 2014, The Washington Post. “Oxidative stress, inflammation, and cancer: How are they linked?” By Simone Reuter, et al. Free Radic Biol Med. 2010 Dec 1; 49(11): 1603–1616. “Umami.” Wikipedia, retrieved 29 September 2017. “What Is an MSG Allergy?” Medically reviewed by Natalie Butler, RD, LD on July 19, 2017. “What Is MSG, Anyway? Here’s Everything You Need To Know. By Julie R. Thomson, 8 September 2017, Huffpost.